A hit and miss show. The Raw after the Fastlane pay-per-view was supposed to be the show where the final stretch of WrestleMania match card building begins, and to WWE's credit they did that for the most of the episode, but when you reflect on the events of the broadcast, some decisions WWE made did not benefit the brand going forward. From unnecessary title changes to big names roaming around with nothing to really do, this episode of Monday Night Raw could be described as a half baked, as it had all the makings to be a classic showing, but ultimately failed on execution. So let us go through all the mistakes WWE made on Raw this week, and how the could have easily avoided them. Someone needed to 'work' with Elias. This week's episode of Raw saw two of WWE's biggest names enter the arena as hometown heroes, and the truth is that WWE failed to give both Kurt Angle and Elias segments that brought out the emotion in their segments. First, let us start with Elias. "The Drifter" has been one of WWE's most consistent performers since he arrived in 2017, as every time Elias got on the mic and stepped into the ring he has improved with great success. But if WWE keeps him wandering on the show with nothing to do, they are wasting his talent. 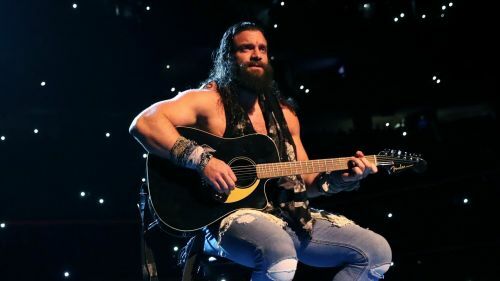 As this week on Raw, Elias stood in the ring to perform for his hometown, and as per usual "the drifter" insulted the audience, except it didn't last long as No Way Jose came out to the ring to spread some excitement. Elias was not thrilled with this and proceeded to beat the living daylights out of Jose, as his conga line ran away in a frenzy. What was the point of this? What does this do for Elias heading into WrestleMania? For the second year in a row, WWE is dropping the ball with Elias heading into the Show of Shows, as this is a man that would be more beneficial to the company if he was taken more seriously. Also, the booking of Jose is just terrible, and while he may just be a 'jobber' to many, his character in NXT was much more than that, as he was a goofball on the outside but showed intensity when thing got heated.